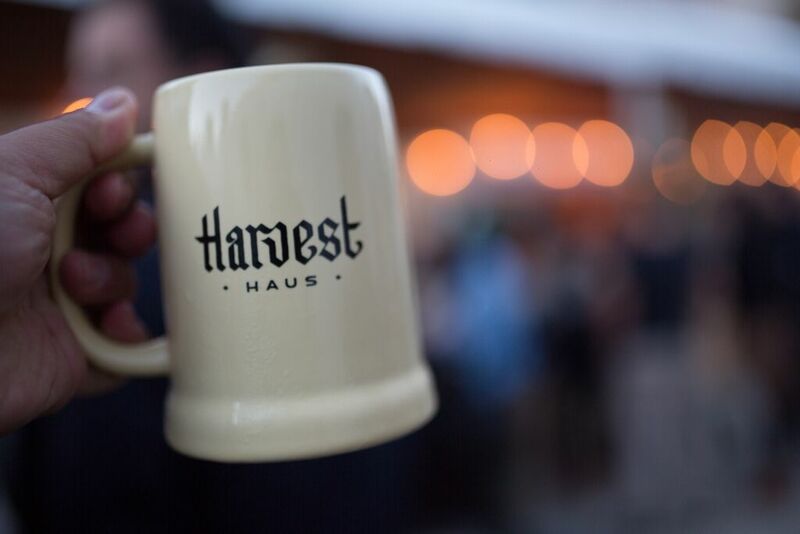 Harvest Haus is an Oktoberfest event that is being held at the Queen Elizabeth Plaza in Vancouver. The festival includes traditional German food stands, live music, a large hall with tables, a band, and a dance floor, and plenty of beer stands to try. 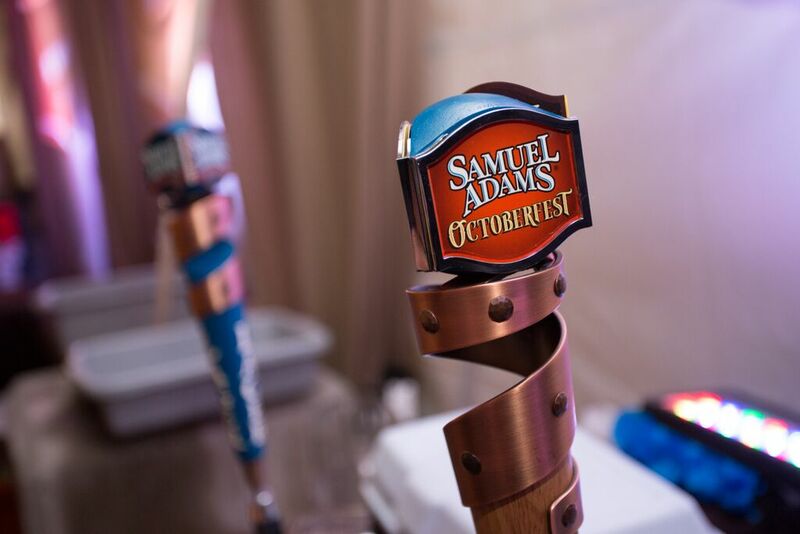 Since I was at an Oktoberfest event, I obviously had to try the Samuel Adams special Octoberfest beer. This was an ale style beer and amber in colour. It had a subtle malt and caramel flavour. I really enjoyed this beer and I thought it was the perfect companion to go with the heavy food at the event. The beer was easy to drink and refreshing. The food stall that immediately caught my eye was the one selling pork hocks. The smell of the roasting pork was too tempting and I had to try some. The pork was tender and fatty and they cut it up into little pieces for you so it is easier to eat. The skin on the outside was amazing and super crispy, salty, and flavourful. 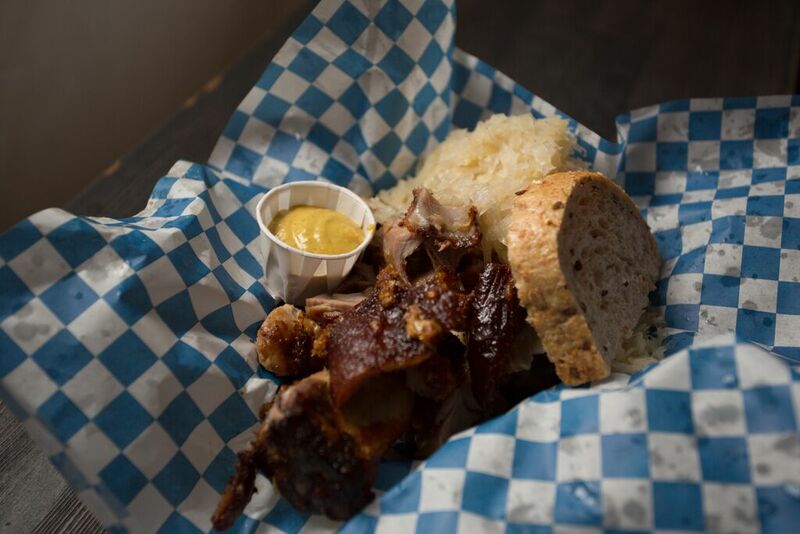 The pork hock is served with two slices of bread, Dijon mustard, and sauerkraut. I ate mine by spreading the mustard on the bread and making a little sandwich out of everything. 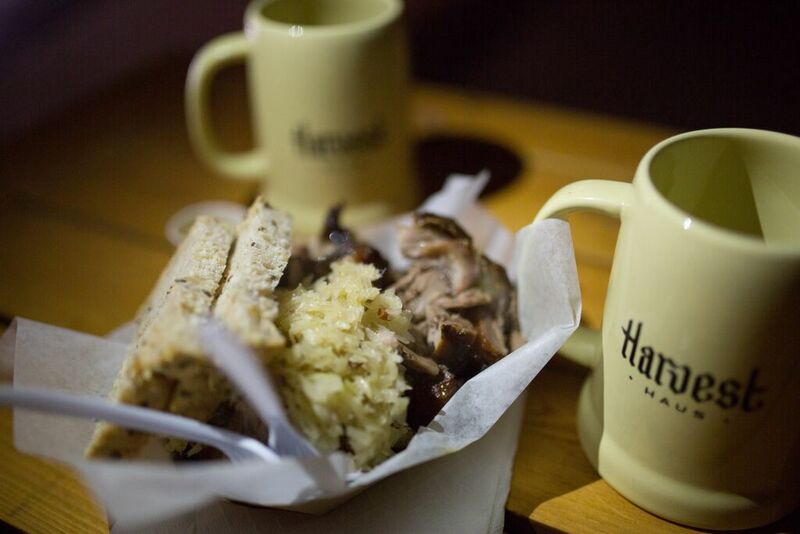 The tanginess of the sauerkraut and mustard balanced out the rich fatty meat. The other item I was eager to try was the spaetzel. I have never had spaetzel before so I was interested to see what it would taste like. Spaetzel is a German egg pasta/dumpling that has a soft, pillowy texture. This version was covered in cheese, chives, and fried onions. The cheese was the dominant flavour of the dish, but I loved the bits of crunchy fried onion that were scattered throughout. They made the dish more texturally interesting and flavourful. 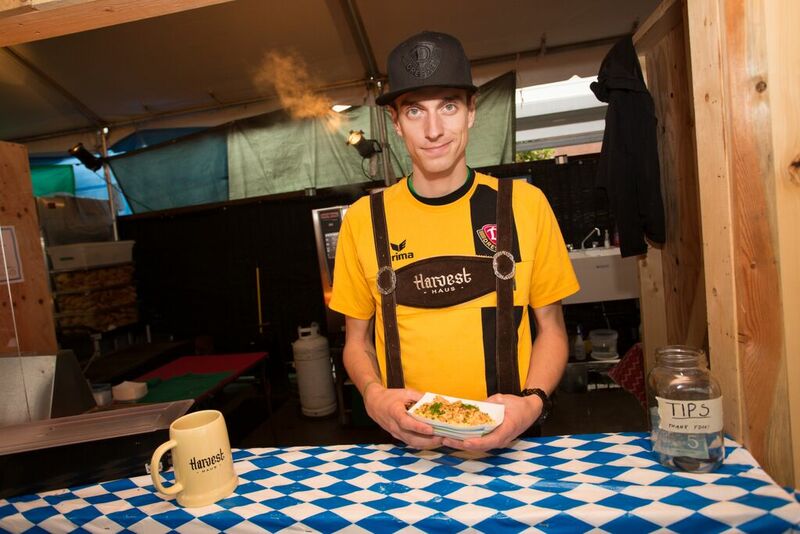 I don’t get many opportunities to try German food, so I enjoyed being able to try some new dishes alongside great beer. The prices at the festival were a bit steep, however, it was fun for the novelty of the festival.